Update: Welp deal's dead. All 570 units sold. When I think of Monoprice, I think of cheap price, quality HDMI cables -- not PlayStation 4 console bundles. 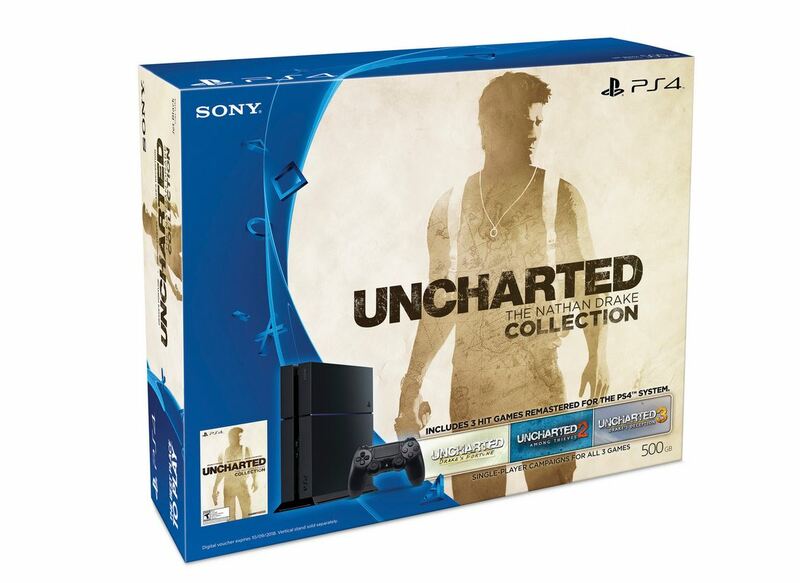 That said, the electronics retailer is unloading last Friday's Uncharted PS4 bundle for only $309.99 on its eBay outlet store. It's free shipping in the continental US with sales tax charged only in California and Kentucky. Those who have been eyeing a PlayStation 4 this holiday season might have noticed Sony announced a price drop just last week, where the Uncharted bundle is now at $349.99. This further drop to $310 all but confirms to us that a $299.99 PS4 will happen at some retailers later this holiday season. This Nathan Drake Collection bundle includes all three games: Uncharted: Drake's Fortune, Uncharted 2: Among Thieves, and Uncharted 3: Drake's Deception. It'll also get you access to the multiplayer Beta for Uncharted 4, which runs between December 4 - December 13 this year.